Versatile zoom lens covers standard to medium-telephoto ranges. It provides a maximum aperture of F3.5 - 5.6 over the zoom range. Constructed to reduce various aberrations including color aberrations while providing high contrast and high resolution throughout the entire image field at maximum aperture. WR (Weather Resistant) - Designed with eight specially designed seals to prevent intrusion of water. This standard zoom lens accommodates the image circle of a full-frame image sensor, and covers focal lengths between 28mm wide angle to 105mm medium telephoto. By incorporating the latest optics and a number of high-performance optical elements, it retains a sufficient brightness level even at edges of the image field, while effectively compensating for aberrations. It delivers high-resolution images by optimizing the imaging power of the PENTAX K-1's 36MP sensor. 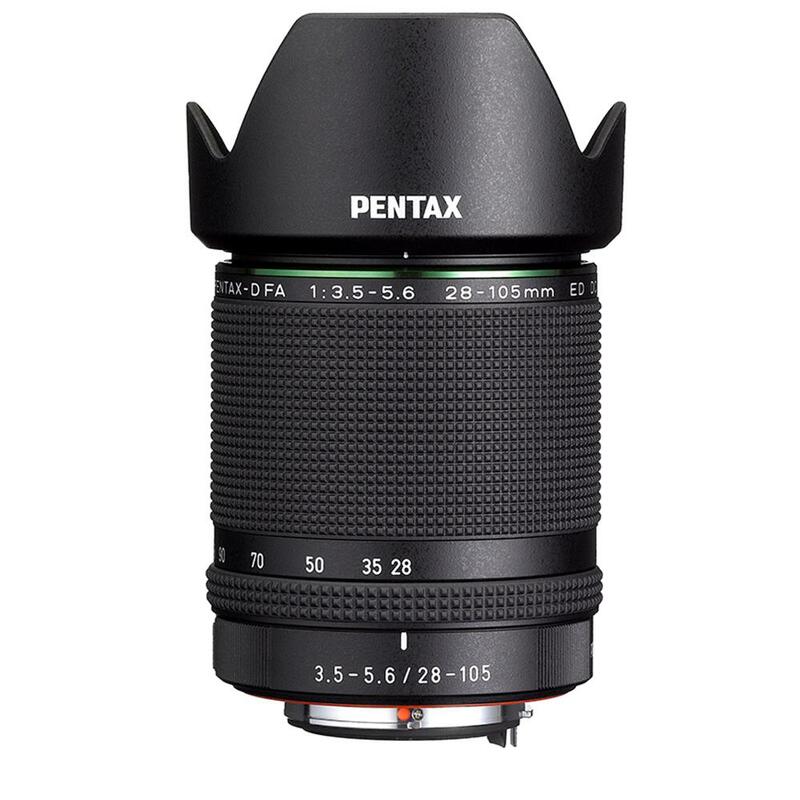 Its compact, lightweight design and excellent cost performance make this lens a perfect companion lens to the PENTAX K-1. This lens features a dependable weather-resistant construction with eight sealing parts to effectively prevent the intrusion of water into the lens interior. Paired with a weather-resistant PENTAX digital SLR camera body, it creates a durable, dependable digital imaging system that performs superbly in demanding shooting settings - even in rain or mist, or in locations prone to water splashing or spray.